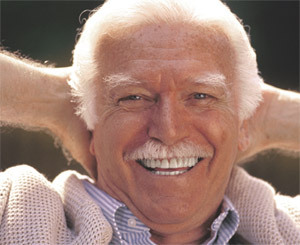 Once you learn about dental implants, you finally realize there is a way to improve your life. When you lose several teeth, whether it’s a new situation or something you lived with for years, chances are you have never become fully accustomed to losing such a vital part of yourself. Dental implants are changing the way people live. With them, people are rediscovering the comfort and confidence to eat, speak, laugh and enjoy life. For more information about dental implants or to schedule a Implant Consultation appointment, call our office Presque Isle Office Phone Number 207-764-6337. Dental implants area a revolutionary new way for you to replace missing or damaged teeth. Implants are replacement teeth that feel, look, and function like your own teeth. Implants will help preserve your smile and facial structure. With dental implants, you can finally eat virtually anything again, and you know your teeth and facial contours look natural. Dental implant placement is a team effort between an oral and maxillofacial surgeon and a restorative dentist. Dr. Ford performs the actual implant surgery, initial tooth extractions, and bone grafting if necessary. The restorative dentist (your dentist) fits and makes the permanent prosthesis. Your dentist will also make any temporary prosthesis needed during the implant process.